Jarmo, Akina, Chrysa, Hehu, Shelley and Pachai are the Holiday Club. They come from different countries and have very different lives. They take trips together as often as they can. 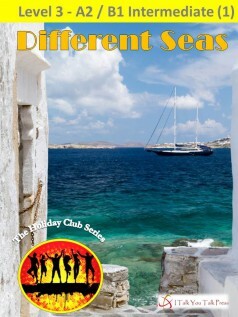 Book 3 is a bonus for fans of the Holiday Club. This time you get two complete adventure stories as the young friends face terror and horror on opposite sides of the world. In A Dangerous Celebration, Shelley gets a happy surprise and the Holiday Club is invited to join the party. But there are people who have other plans for the celebration…..
“We do,” said all the others…..